OK, sorry, you may have posted it before but I recall that place is on Pattaya Tai. Where exactly on Pattaya Tai? Jingthing, about pho: you cannot make an acceptable version if only cooked on the weekend. I understand in Vietnam (and even some places in Canada), at the end of the day, the unsold broth becomes the start of the next day’s soup, deep flavour and all. So you get an historical slurp. Or maybe that’s just an urban myth. There are probably levels with broths, but for it to be at all proper it needs to cooked for a quite a long time. Experienced Pho eaters don't have to ask, you can tell by the taste. The broths at Thai style "Vietnamese" places that I've tried basically taste the same as the broths for Thai noodle soups. I will not eat Pho here again. The real Pho is like a work of art. Sounds stupid maybe but this place is not close to true Vietnam Pho. They feed you some form of clueless soup here. I don't agree. 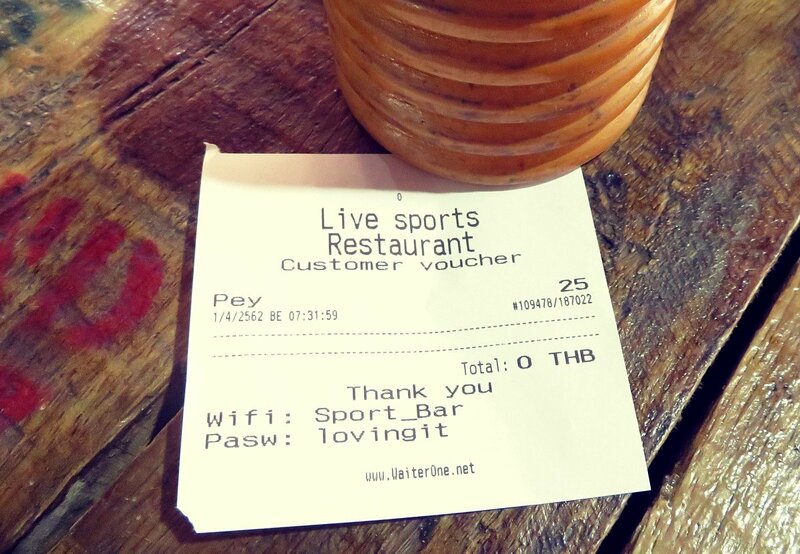 I think their Pho is rather good and I wouldn't expect that you can find better in Pattaya. But of course people need to judge for themselves whether a place works for them or not. It's in the picture. Soi 12. Big Kahuna, what happened I am reading the place is no longer in operations? Every time I go to Retox now I never get black pudding. Do you have to ask for it or something? 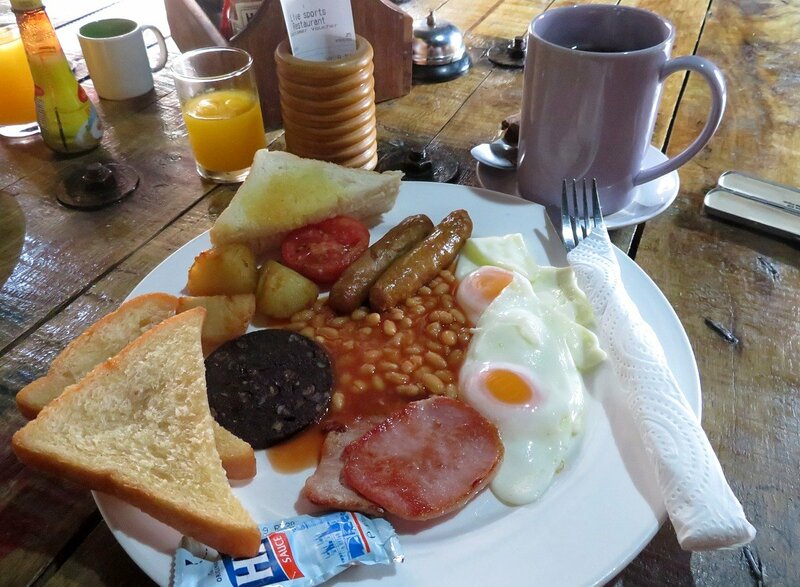 Apart from that, definitely the best value breakfast in Pattaya, even if one does pay more than 0B. Yes, so many people just leave the black pudding on their plate, that they stopped serving it unless you ask for it. Is that what that thing is? I never ate it. Yes Retox Lengkee has free breakfast today April 1. I think it's for 300 people. 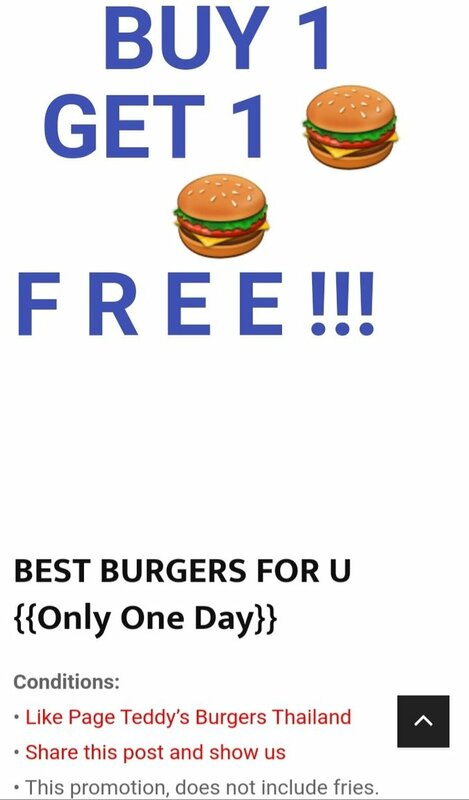 Teddy's burgers Pattaya also has buy 1 get 1 free today April 1 too if you like and share their Facebook page. The location isn't good, lots of traffic noise. Only the bigger buildings set back a bit in Jomthien sai 2 manage to cope, anything near the road is like eating at a highway stop. News to me. I ate breakfast there recently. It was very good. I wouldn't be surprised though as they seem to do well for breakfast but not after. Most of the seating is indoor. The location hasn't stopped their neighbor the Continental which seems to have been there forever. This is a very new place. I tried it and I feel it is quite good relative to the Pattaya market. No I'm not jumping up and down in excitement but definitely worthy of repeat visits. Yes the prices are on the high side (unless you use eatigo). Easy to get to. From Jomtien beach road, stop at the Night Market and go down to 2nd road, then just turn right. You can see the location and pictures of the their food on these links. I had the peppered mussels appetizer 280 and the lamb Ossobuco risotto w/ saffron rice 450 main course. The mussels had great flavor from the cooking stock, were fresh enough, but they seemed to be local smallish mussels and the dish was a tad bit too salty for my taste. Also the item is called peppered mussels so I was expecting maybe some peppers of some kind in the presentation, such as red bell peppers, but instead there were cherry tomatoes. The Ossobuco main dish was scrumptious. There was a surprise of a lot of peas in the meat part of it which I did enjoy. The only weird thing I found is that the dressing on the small side salad didn't taste like olive oil, and I didn't like the flavor of the oil they did use. Quite an ample portion of meat and risotto. Pizzas of course but also an unusually large selection of PANZAROTTI which are similar to calzone. You can choose fried or baked. Although calzone aren't hard to find in town, I'm not aware of any other local restaurant that has a panzerotti section. Ravioli w/ ricotta, spinach, pumpkin, pork cheeks, mushroom sauce. WOW! As you can, kind of a more "special" menu. They are on eatigo.com (discount as much as 50 percent) and they also have an everyday special of choose most of their pizza choices (regular prices up to 280) including soft drink for 220 baht. Panzerotti not included with this pizza offer. There is no plus plus.